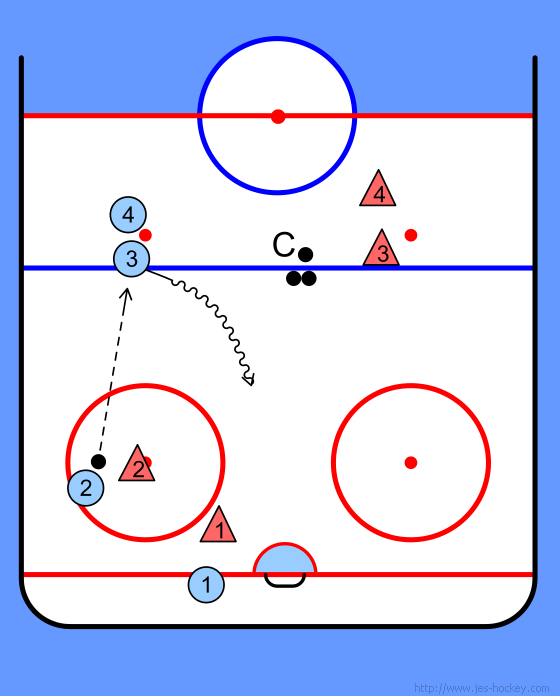 Coach dumps in puck and play starts as a 2v2. 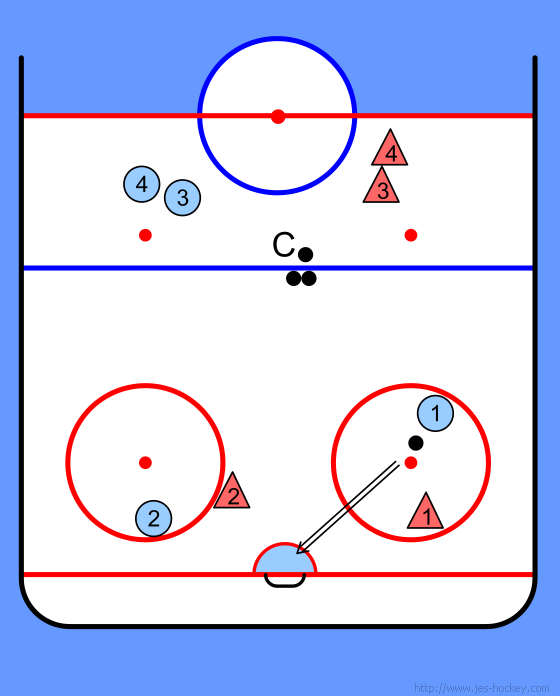 Each team may activate up to 2 additional players by passing back to their point. 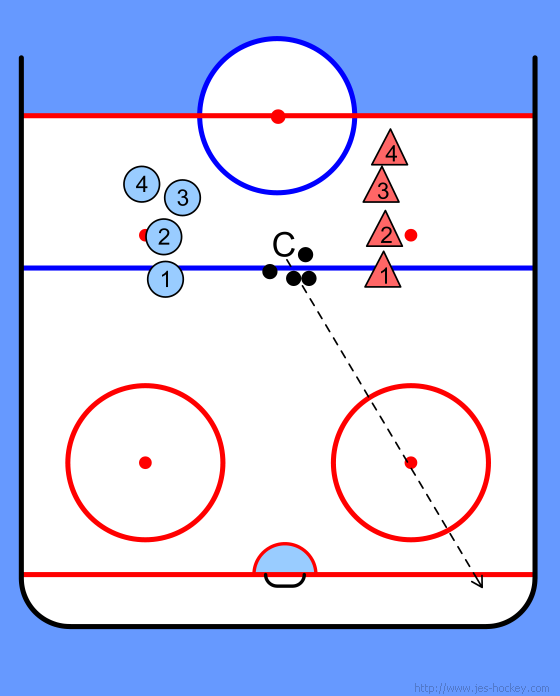 Before activating a player the team must take a shot on goal. Players at point may not move around but once activated can go anywhere. Before adding a second player team must take another shot on goal. Players that were activated during game will stay and start the next 2v2 with two additional players at point for activation.